Right now, the Schurmann Family is getting ready for its most audacious expedition yet, one which will become part of human history. At the end of 2019, the family will leave to witness, register, and share what is happening in our oceans. Scientific (health) projects will be undertaken during the expedition, using the sailboat as a base for their research. 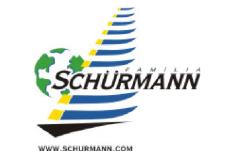 The Schurmann family is determined to seek solutions and to bring awareness to the urgent need for changing our relationship with plastic.